One of the commonest causes of acute leg pain, which is usually is missed for DVT. 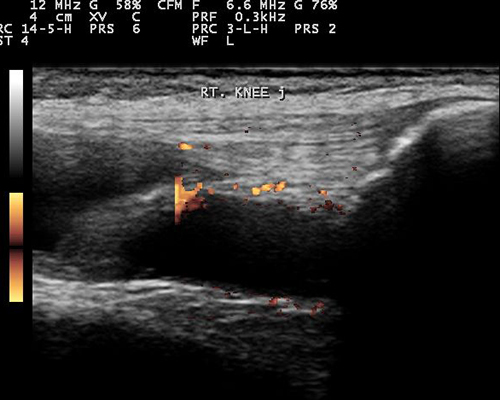 It is common in patients with osteoarthritis (wear and tear) of the knee joints. Can also be seen in patients with chronic inflammatory arthritis. 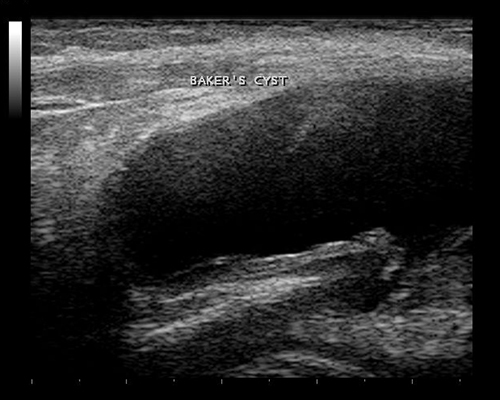 US can easily confirm the presence of the cyst and is very helpful in its aspiration. A common cause of pain at the base of the thumb, and is attributed to inflammation of the abductor and extensor tendons of the thumb. Presentation symptoms looks similar to osteoarthritis of the first carpometacarpal joint at the base of the thumb. clinical examination, X-ray and US can confirm the diagnosis. US guided injection usually gives a very good outcome. Not every patient with carpal tunnel syndrome will need surgery to decompress the tunnel. 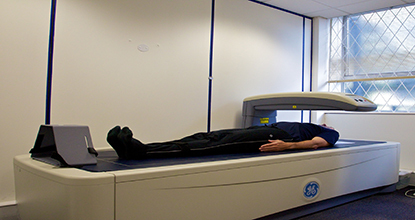 Very good number of patients can be treated conservatively without the need for surgery. 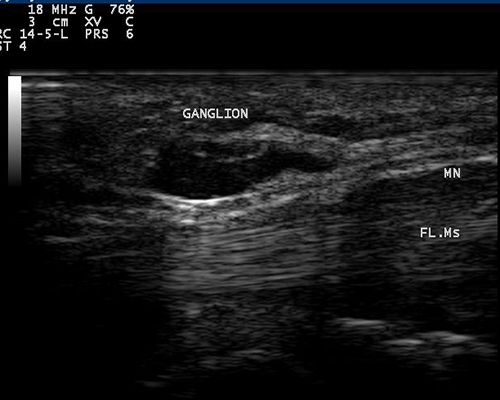 In this case, the patient has a ganglion (outside the carpal tunnel) which was compressing the median nerve inside the tunnel. Patients may present with small lumps on their fingers. 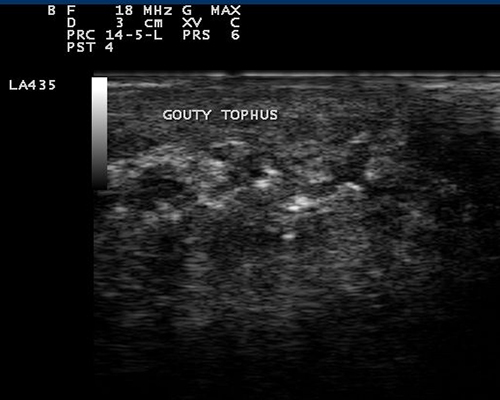 The differential diagnosis is wide, as it can Heberden's nodes (commonly seen in association with wear and tear), rheumatoid nodules or gouty tophus. US can help in making the accurate diagnosis of the nature of the swelling. Tenosynovitis of the flexors of the hand muscles is a very common symptom nowdays after the extensive use of mobile phones, computers as well as small high tech gadgets. It usually presents with carpal tunnel syndrome like symptoms. US helps to assess for the underlying active inflammatory status. Conservative management is the recommended approach for such conditions. 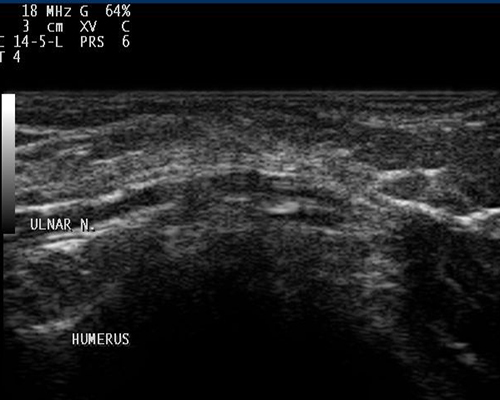 Knee joint effusion is a common finding in association with inflammatory arthritis or degenerative (wear and tear) arthritis. 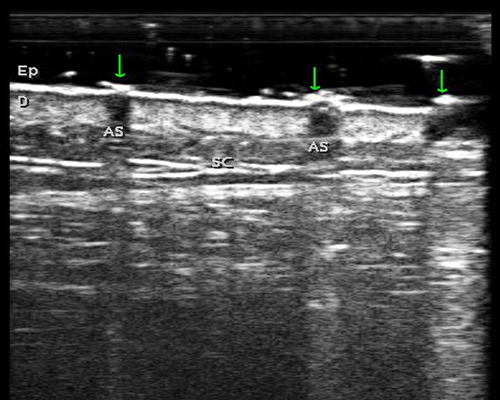 US helps to confirm the diagnosis as well as in guiding the procedure to aspirate the fluid. Early diagnosis of osteoarthritis is important to prevent further progressive damamge of the joint cartilage. US was found helpful in finding out the early cartilage thining as well as osteophyte formation. Compression of the median nerve in the carpal tunnel, leads to impaired circulation in and around the median nerve. A finding which is easily depicted by US and is considered an indicator for conservative management approach. 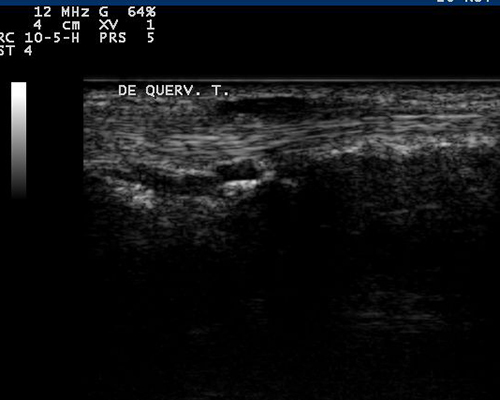 US can help in the assessment of psoriatic skin lesions (in the picture), nails as well as tendon. Inflammatory changes at the ligamentous attachments is one of the early manifestations in psoriatic arthritis. 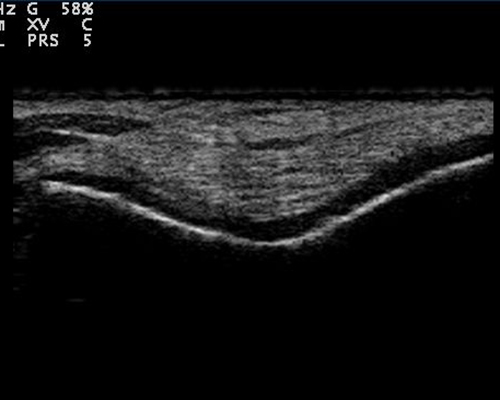 Ulnar nerve entrapment at the elbow level is a common cause for tingling of the little finger. Nerve conduction testing can confirm the diagnosis and the severity of the nerve affection. 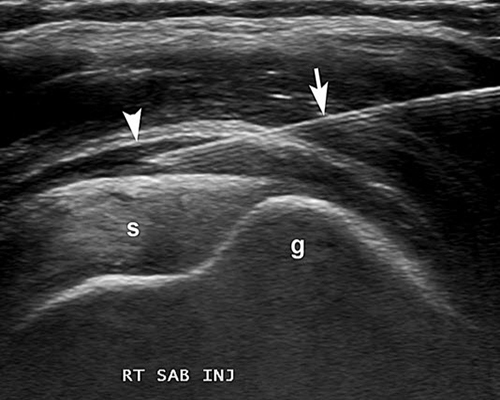 US can help with finding the cause of the compression and any change in the nerve morphology/ shape. Studies revealed that US guided injection is favoured in comparison to blind joint/ soft tissue injections. 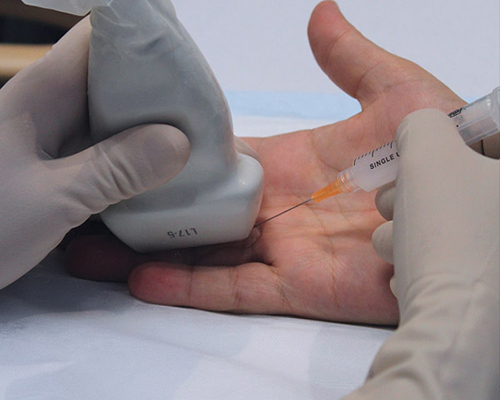 US guided injections helps to identify the nature of the pathology and administer the medication at the appropriate position. Dr. El-Miedany is an US trainer/ mentor with over 10 years of experience and several research studies published in international confrences as well as pear reviewed journals on musculoskeletal ultrasnography. Ultrasound is safe and painless, and produces pictures of the inside of the body using sound waves. 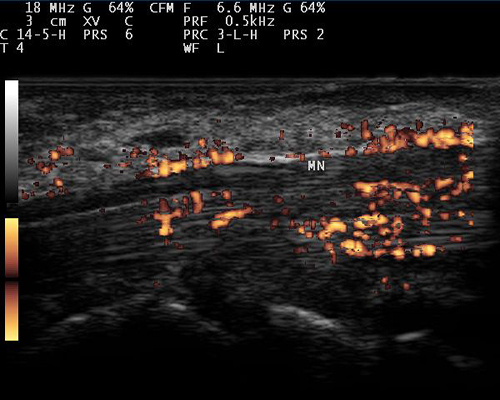 Ultrasound imaging, also called ultrasound scanning or sonography, involves the use of a small transducer (probe) and ultrasound gel placed directly on the skin. High-frequency sound waves are transmitted from the probe through the gel into the body. The transducer collects the sounds that bounce back and a computer then uses those sound waves to create an image. Ultrasound examinations do not use ionizing radiation (as used in x-rays), thus there is no radiation exposure to the patient. 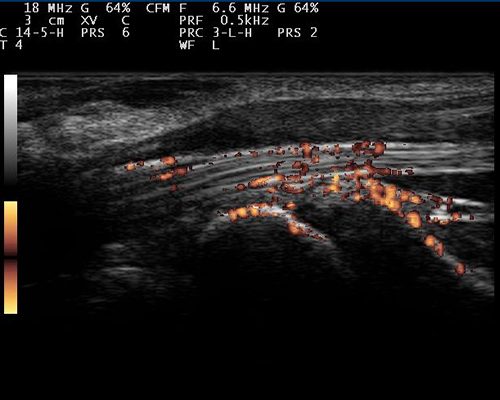 Because ultrasound images are captured in real-time, they can show the structure and movement of the body's muscles, tendons, ligaments, and joints, as well as blood flowing through blood vessels. Dr. El-Miedany runs an espicialized hand clinic where assesment for hand pain is carried out in one stop service style. 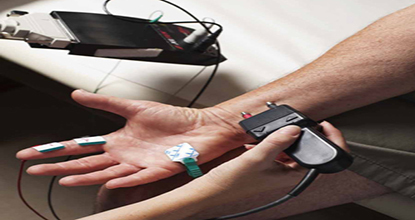 US as well as nerve conduction studies are carried out in the same session.